Casey Owen Neistat, better known as Casey Neistat, is an American Vlogger, YouTuber, Filmmaker, and the co-founder of social media app, Beme. Casey rose to fame followinghis first YouTube video, iPod’s Dirty Secret went viral, earning him international fame and recognition. He has gone through many struggles to get to where he has reached today. Besides filmmaking, Owen is also a motivational speaker, and had spoken in various occasions. 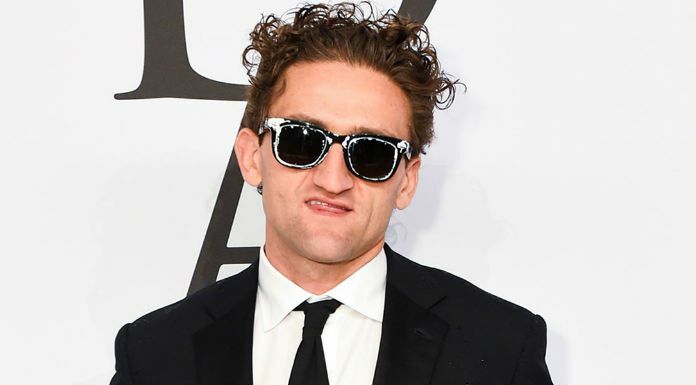 Casey Neistat has won several awards throughout his career, including ‘John Cassavetes Award’, ‘Streamy Awards’, ‘YouTuber of the Year’ and ‘New Media Star award’. 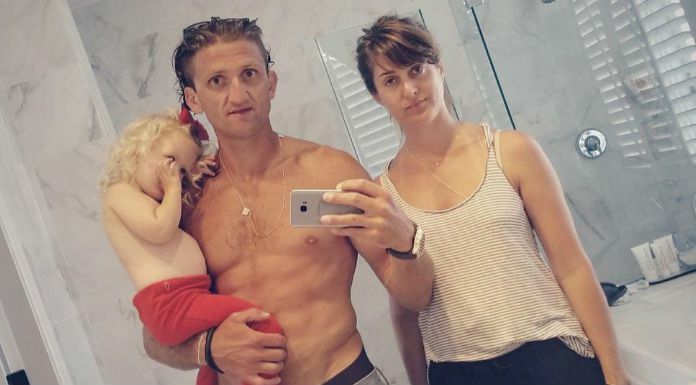 Check out Casey Neistat Biography, Age, Wiki, Wife, Kids, Height, Weight, Cars, Net Worth and more. He was born on March 25, 1981 in Gales Ferry, Connecticut, United States. 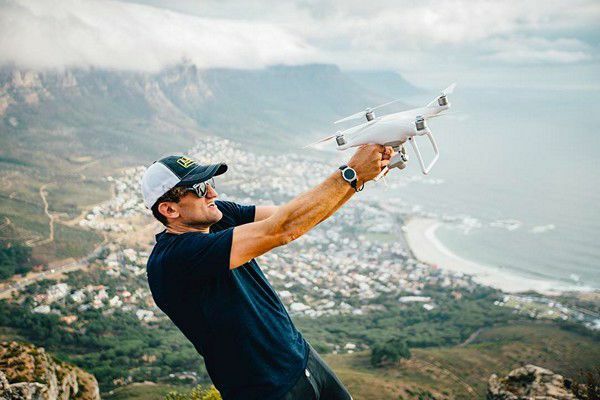 Casey Neistat attended Ledyard High School in Ledyard, Connecticut, United States, but was dropped out during at the age of 15 to pursue a career in film-making. Candice Pool – Soon after he ended his relationship with Harris, he started dating Candice Pool and married her in 2005 in a private affair in Houston, Texas. But their marriage lasted only for a month and ended with an annulment. In 2013, Casey reconciled with Candice and subsequently engaged to her on February 13, 2013. They married on December 29, 2013, in Cape Town, South Africa. Together they have a daughter named Francine. He wears a shoe size 10 (US). In 2016, he made his acting debut with the American techno-thriller-adventure film, Nerve as himself. Before his onscreen debut, he worked as a executive producer in three films. Casey Neistat along with his brother Van Neistat appeared on a television series, The Neistat Brothers which debuted on HBO in 2010. The series comprises of eight episodes that tells he lives of the brothers’ in the form of short stories. HBO bought this series from the Neistat brother for just two million dollars. As he got interested in filmmaking since he was young, Casey struggled a lot throughout his journey to get to where he is today. He has directed commercials for big names like Nike, Samsung, Google, Inc, Crew, Finn Jewelry and Mercedes Benz. He also promotes a number of brands and products through YouTube videos. In 2010, Casey Neistat won the ‘John Cassavetes Award’ presented by the Independent Spirit Awards. In 2016, he won the ‘Streamy Awards’ in the categories ‘Best First-Person Series’ and ‘Best Editing’. The same year he also won ‘YouTuber of the Year’ award at the Shorty Awards event. Casey was also honored with ‘New Media Star award’ at the GQ Men of the Year award event. Neistat is a huge fan of expensive cars who once told to a magazine that he wishes to collect dozens of expensive luxury cars. At present, he owns a McLaren 675LT , a Mercedes-Benz and a blue truck (his favorite vehicle). Apart, he also owns a Electric Foldable Scooter from TuTu, and a Xcooter. He resides with his family in a lavish house in Manhattan, New York City, USA. The popular internet sensation, Casey Neistat has an estimated net worth of $13 million dollars as of 2017. His earnings come form endorsements, ad-films, ad revenue, sponsored post and videos and other business ventures. Casey is one of the richest and the well-known Youtuber among the social networking sites. Casey is immensely popular on different social networking sites with over 8 million subscribers and 1.8 billion views on YouTube. He is equally popular on other social media, where he has over 2.8 million followers on Instagram and more than 1.5 million followers on Twitter. Casey Owen Neistat was born on March 25th 1981 in Gales Ferry, a village in the town of Ledyard, Connecticut. His parents divorced when he was 15. At one night, he got himself in an argument with his mother for the split and apparently he left the house and never turned back. Caesy lived in a trailer park with his girlfriend, Robin Harris, along with their son Owens. He ended up with odd jobs like dishwasher in a seafood restaurant to support his family. Her girlfriend eventually left him and it was around that time, he moved to New York City to accomplish his dreams. His first job in the city was bike messenger. He worked with his brother Van making short films and later joined YouTube and started to upload videos. His first video was ‘iPod’s Dirty Secret’ amassing more than 6 millions views in less than a month. The video got hit instantly which earned him popularity and celebrity status. As an accomplished film-maker, he has worked with big names like New York Times, HBO, and has made a half dozen of series of films till now. Along Matt Hackett, Casey Neistat started his own multimedia company ‘Beme’ and developed an video sharing app called Beme which was later acquired by CNN for roughly $25 million. He has amassed more than 8.1 million subscribers and 1.8 billion total upload views on YouTube. In addition to his career in television and film, Neistat also directs television commercials, having worked with clients such as Samsung, Nike, Google, Finn Jewelry, J. Crew, and Mercedes-Benz.